At the Energy Experts, we are Laguna Hills's most experienced home HVAC (heating, ventilation, and air conditioning) contractor. Energy Experts is a new professional designation of Alicia Air Conditioning & Heating, a provider of comprehensive home HVAC sales, installation, maintenance, and repair services to Orange County and surrounding areas since 1980. 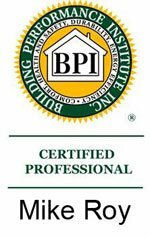 At the Energy Experts, this new professional designation is the result of being awarded the distinction of Carrier Certified Energy Expert, a professional certification which qualifies our experienced home HVAC technicians to conduct Carrier 360° Whole Home Energy Audits for our valued residential clientele, during which we expertly identify home HVAC system efficiency problems. In addition, at the Energy Experts (Alicia Air Conditioning), our whole home approach to residential HVAC systems also involves a thorough indoor air quality evaluation of each Laguna Hills home in which we perform our 360° Whole Home Energy Audit. And following this comprehensive inspection, which includes testing and evaluating the home's existing HVAC system, ductwork, thermal envelope (made up of the home's roof, exterior walls, floor, windows, and doors), and indoor air quality, our knowledgeable technicians will recommend the most effective, affordable solutions to eliminate any HVAC system or indoor air quality problems you and your family may be experiencing. 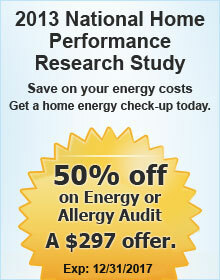 Call the Energy Experts at Alicia Air today from Laguna Hills. We service all of Orange County. The HVAC professionals at the Energy Experts are licensed, bonded, and insured. At the Energy Experts (Alicia Air Conditioning), we are Carrier Certified Healthy Air Experts, and can expertly diagnose and correct any indoor air quality problems occurring within Laguna Hills homes. Poor indoor air quality is a medically recognized cause of serious health issues such as allergies and asthma, and at the Energy Experts, our whole home approach to residential heating, ventilation, and cooling services can go far towards alleviating indoor air quality problems. Don't let your family members suffer do to curable indoor air quality concerns, such as air that is contaminated by mold spores, dust, pollen, volatile organic compounds (VOCs), insulation fibers, automobile exhaust, carbon monoxide, or excessive moisture seeping in from crawl spaces, attics, or garages through leaky ductwork or a poorly insulated home envelope (a home's exterior walls, roofs, floors, windows, and doors). Call the Energy Experts at Alicia Air Conditioning & Heating today. At the Energy Experts (Alicia Air Conditioning), the goal of our insulation services is to eliminate air leakage through a home's thermal envelope and ductwork system as much as possible, because this leakage contributes to heating and cooling system inefficiency, and is also often a source of troublesome indoor air quality problems in Laguna Hills homes. Insulation plays a vital role in home comfort, and in many Laguna Hills homes, there is insufficient insulation, or the existing insulation is simply not doing its job. This is a common problem in rooms adjacent to attic spaces, and also rooms built directly over garages. At the Energy Experts (Alicia Air Conditioning), as a part of our whole home audit, we will identify these underinsulated spaces within the home so that this condition can be corrected. Call the Energy Experts at Alicia Air today, and see how our affordable insulation services can improve your Laguna Hills home HVAC system's efficiency at providing year round comfort for your family and guests. At the Energy Experts (Alicia Air Conditioning), the information about your Laguna Hills home that we ascertain during the performance of our 360° Whole Home Energy Audit will enable us to determine the ideal home HVAC system for your needs. Buying a new heating and cooling system is a very important financial decision. What you pay to buy and install the new equipment is only a small portion of the total financial expenditure which will be necessary for the duration of the life of the system. When you install a new system, you are essentially giving your utility companies permission to send you a bill each month for using the new system. In addition, there will also be additional costs to maintain the system, repair the system, and replace it if it ends up failing before it should. For these reasons, the costs of owning a home HVAC system far surpass the initial purchase price, and the decision of which contractor to choose to install the new system is a very important one. Rely upon the Energy Experts at Alicia Air for your new home heating, ventilation, and cooling system. Call us today. At the Energy Experts (Alicia Air Conditioning), we use the most innovative, comprehensive leak testing procedure available in the industry to pinpoint any home envelope and duct system leaks, and then recommend our affordable home insulation, duct sealing, or duct replacement services as needed, to ensure that your Laguna Hills home's HVAC system is able to function at peak efficiency, providing optimal comfort and indoor air quality for your family members and guests while minimizing utility bills. Call us today. Choose the Energy Experts at Alicia Air to install your new home heating or cooling system. Do you have problems with hot and cold spots within your Laguna Hills home? Many homeowners (and also most air conditioning and heating contractors) assume that if a home is experiencing uneven temperature problems, then a larger home HVAC (heating, ventilation, and air conditioning) unit is needed to correct the problem. However, the exact opposite is true. If a home's existing HVAC system is oversized, it tends to turn on, run for only a short period of time, and then shut off. And because the blast of heating or cooling the unit puts out during this interval typically satisfies the thermostat before it ever reaches the rooms on the further end of the home's HVAC system, so these rooms never receive adequate heated or cooled air. In contrast, a properly sized HVAC unit will run more gently for lengthier periods of time, far more effectively heating and cooling all of the rooms within a home. In addition, a properly sized unit will be able to better handle air humidity in the summertime, and will also result in lower utility bills. In fact, it is often the case that homeowners who install improperly sized high efficiency HVAC systems never receive the full energy savings that they should by choosing these systems. At the Energy Experts (Alicia Air Conditioning), we will take many factors into account when installing a new high efficiency home HVAC system in Laguna Hills homes, to ensure that the ideal system is installed for each individual home's heating, ventilation, and cooling needs. Call the Energy Experts at Alicia Air today. The Energy Experts are licensed, bonded, and insured. Call the Energy Experts at Alicia Air today, with any and all concerns you may have about your Laguna Hills home HVAC (heating, ventilation, and air conditioning) system's efficiency, as well as for help with any indoor air quality issues you may be experiencing. The Energy Experts at Alicia Air service all of Orange County and surrounding areas, and are licensed, bonded, and insured.